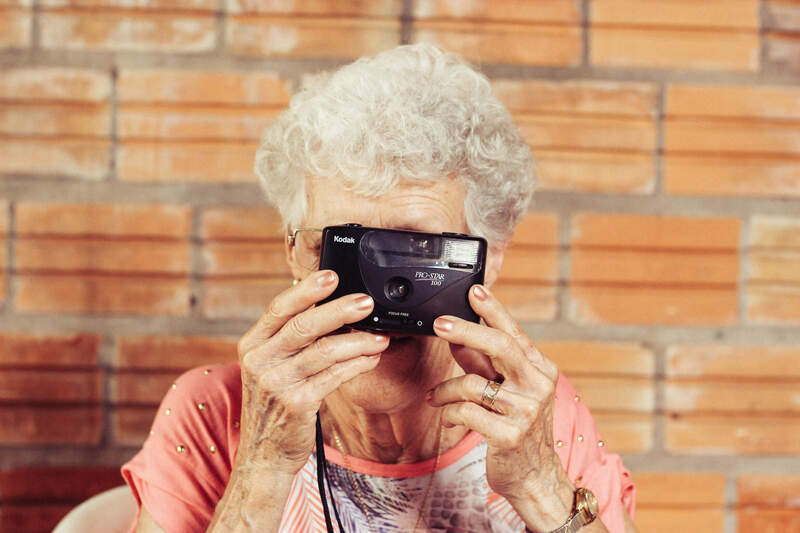 In this second blog, on making disciples of older people. I want to focus on the subject of dementia and discipleship. I’m sure most of us are aware of the concept of a Child Friendly Church; a church that is a safe and welcoming environment for children and young people to develop and grow in their Christian faith. How many people have heard of a Dementia Friendly Church? A Dementia Friendly Church at its best will be a safe and welcoming environment for people who have been diagnosed with dementia, their families and carers. Sadly, some of us have had conversations with families, who felt that their loved one, after being diagnosed with dementia, did not get the necessary support from their church when they needed it most. The concept and development of a Dementia Friendly Church, owes much to the research and work carried out and published by Christians on Ageing, and Methodist Homes in recent years. A Dementia Friendly Church does not have a definitive how to guide or must do agenda. What it does offer is some practical guidelines for good practise that may help to mitigate the sense of helplessness that families and congregations encounter when dealing with dementia. As a church, finding a starting point, to begin a Dementia Friendly Church must be an inclusive topic of conversation for the whole church. There will have been members of your own congregation who have been diagnosed with dementia. How can you do more to support them and their families ? There may be projects in the community you could support. It will be a matter of praying and seeking guidance for what shape this ministry may take. An important starting point in developing a Dementia Friendly Church is holding a Dementia Awareness session. These can be provided by Dementia Friends UK. They usually last about an hour, with the aim to raise awareness of what someone with dementia can do, rather than what they can’t do, and to encourage friendship and support. We don’t have to be experts, but raising our awareness gives us the confidence to reach out in friendship and support to the person with dementia as well as to their families and carers. As a Salvation Army Community Chaplain, church for me is a community: the hub, the sheltered housing scheme, the day centre. For some years as a community chaplain I have been visiting a care centre. About five years ago a dementia support centre was built as part of the complex. Shortly after it opened I went along. My initial aim was to show support and friendship to the service users and staff. At present, I run a fun with music session, which is usually as the title suggests: great fun! This session includes singing, and percussion or music-based games. Music is very therapeutic: it exercises the lungs and brain; it is also very good at getting people to relax. I also run some creative art therapy sessions, the themes of which often follow both the calendar seasons and the ecclesiastical year. For example, this year we had an Advent wall with different symbols for each week of the season. How does a Dementia Friendly Worship Service work in a community? We love praising God through song! We want this to be a joyful and relaxing and if possible paper free experience. Concentrating on four or five verses of a song will be problematic for some. We use shorter worship songs/choruses that are easier to remember, often with gentle actions. Hold us in your love. The curate or Eucharistic minister will preside over the communion. A short and simple large print response card is given out. The opportunity is given to take communion or receive a blessing. After communion we will sing, there is a short blessing, then a chance to let our hair down: relax, listen to music or chat. All in the spirit of friendship and fellowship. Our Dementia Friendly Worship Service has been described as simple but effective, joyful and beautiful. The unexpected can and does happen! There is a freedom of worshipping God in this way. Literally when people are being themselves, God can bless us in a special way. Some months ago, I had a request from the children’s worker at a local Anglican Church asking if their After School Club could come along and meet the folk at the dementia support centre. We shared refreshments and sang together it was a good session and we are going to build on this developing relationship by meeting once a month to sing together. Many children will have family members who have dementia, raising awareness in an intergenerational context can be a further contribution to a Dementia Friendly Church. taking up the challenge and doing what is needed where they are. It may be reaching out to the community through befriending your local care homes or hosting carers groups or memory cafe. Also, find out what your local churches are doing, it may be possible to share ideas and projects. The Churches Together network is a great way of doing this. Most importantly, it’s becoming aware of the need in our own congregations offering friendship and support in whatever way possible. It is a learning curve for us all, but there are some helpful links which I’m going to reference at the end of this article. Those who have been part of the journey in developing a Child Friendly Church will know that the kingdom rewards in terms of discipling children and families have been many. Similarly, a Dementia Friendly Church will also have great kingdom rewards, in as much as it encourages people to worship in a way that is meaningful and helpful, allowing them to maintain and develop their journey as disciples of Jesus. We can offer a modern paraphrase to Matthew 25 31-46. I was lost and bewildered, and you sat down beside me and became my friend. May God bless and inspire us on our journey to do and be Dementia Friendly Churches in the name of Jesus just where we are. Part of a companion series including spiritual care and people with dementia. Worship and people with dementia and visiting people with dementia.